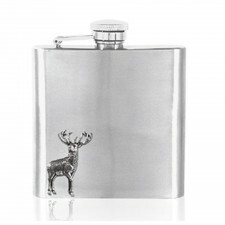 This stunning pewter flask features a the majestic stag displayed gloriously as the 'Monarch of the Glen'. 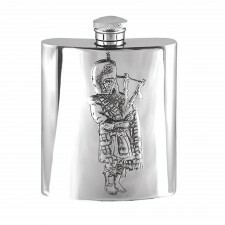 Made from pewter, this 6oz flask resists tarnishing and would certainly make a great gift idea. 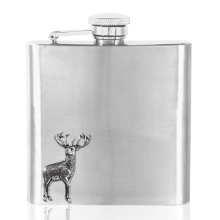 Comes in an English Pewter Company gift box.